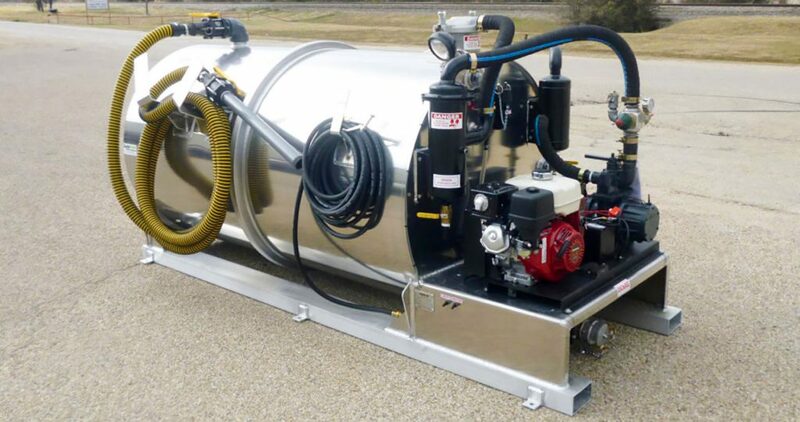 For the start-up owner or the seasoned pro in the portable restroom or septic pumping business, the slide-in vacuum tank is one of the most versatile tools in the waste solutions industry. 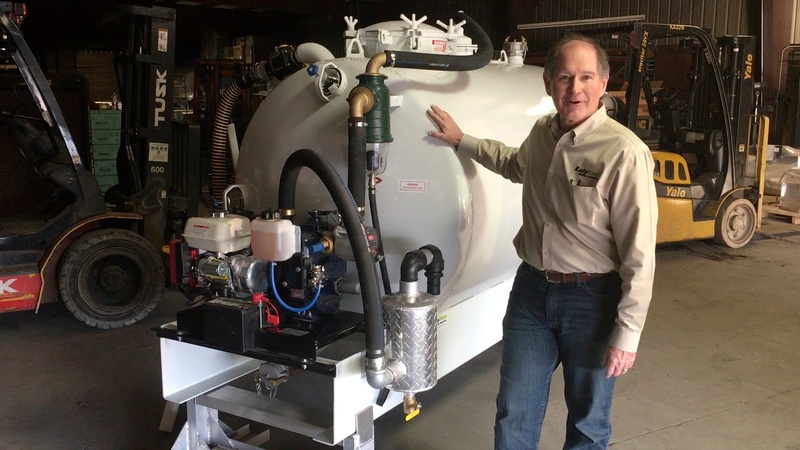 And, even though the design of vacuum tank units hasn't changed much over the years, it's important to understand how they operate and the different configurations available to an operator or buyer. Everything from tank capacity to materials impacts how efficiently you're slide-in vacuum tank works for you. This video explores the essential components of a slide-in vacuum tank and some key considerations any operator, new or experienced, should account for when looking to acquiring a unit. As always, the experts at Lely Tank & Waste Solutions would be delighted to answer any questions and walk you through the order process for a custom slide-in vacuum tank to keep your operation running smooth. Today we want to talk about slide-in vacuum tanks and the considerations that you take into account when you're making decisions about what type of slide-in to buy. Most of the time, slide-ins are used by start-up operations or by a company that that, from time to time, needs to get into a smaller, tighter environment such as an urban setting, when you're going into alleys or a construction site area. There’s plenty of applications for slide-ins vacuum tanks, and there are a few considerations when we're choosing the right slide-in for our operation. What Size Vacuum Tank do I Need? going to use, and the vehicle we are placing this on. For example: Are we going in the back of a pickup truck? Are we going on a flatbed? Or are we going to go on a trailer? Each platform may dictate the weight, material, capacity, and size of the unit. Regarding size, we've got a couple of options that start as low as a 400-gallon tank with two compartments that give you 300 gallons of waste and a hundred gallons of freshwater. On the higher range, you can go all the way up to a thousand gallons of total capacity with 600-700 gallons of waste and 300-400 of freshwater. You have a lot of options as far as your size based on the type of routes you run, the type of business you operate, the places you need to go, and what capacity limits you have for your vehicle. The next decision is the type of materials you're slide-in vacuum tank is made from. In this example we've got an aluminum tank that is a 500-100; that is, 500 gallons of waste and 100 gallons of fresh water. It could be a 400-200 or a 300-300 it just really depends on what it is that you're trying to accomplish in your operation. The aluminum certainly is lighter than steel. In fact, aluminum weighs one-third of its steel equivalent, which is the most significant advantage for aluminum over steel. However, with aluminum, you're going to sacrifice some overall life expectancy of the product vs. steel. Also your cost is going to be a bit higher for the aluminum tank over the steel tank, both regarding initial price as well as any maintenance or welding that is needed. Now, let's move on to the steel tank. The material thickness is quarter-inch thick shells and a quarter-inch end plate. This particular tank is a 400-200; four hundred gallons of waste two hundred gallons of freshwater. But, you can customize that configuration based on your unique needs. 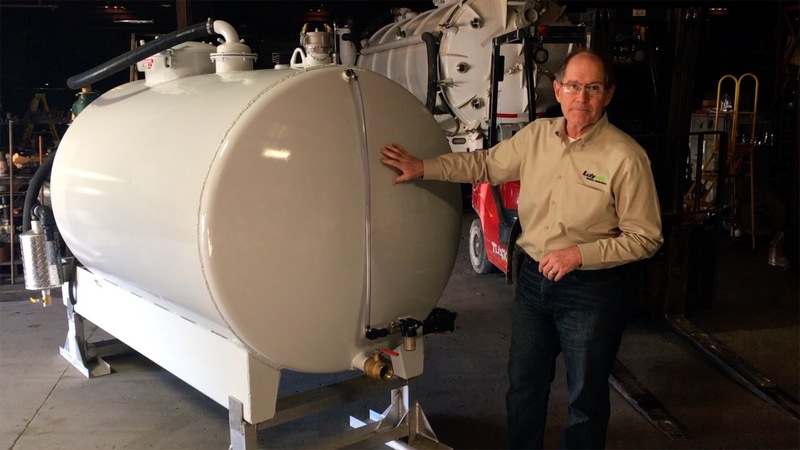 You're going to get a little longer life with the steel tank, and you have a little less cost in your initial purchase of the tank. But the steel makes for a heavier unit, which should be a consideration. In all, you’re going to weigh all of those three components: weight, life, and cost to make your decision about which tank you want to choose. You're going to have all of the same component features on both the steel and aluminum vacuum tanks. Generally, there is a man-way on the top and primary protection for your vacuum pump. There’s also a float ball that is going to be on top of the tank. Sometimes they're contained in the tank, like this steel version, and sometimes it is located within the top man-way. From the primary, your hose goes into your secondary. We call it a secondary because that's your secondary protection for your vacuum pump, all of which is intended to keep water out of your vacuum pump. After we come out of our secondary, now we're going into our vacuum pump. Our vacuum pump is really the workhorse, the thing that makes this whole contraption work. This pump is what creates the vacuum and makes the unit work. The same vacuum pump can also be used to give you a small amount of pressure for unloading. But it is primarily a vacuum pump. This model of vacuum pump runs off an electric start gasoline engine. Essentially, this combination of tank, primary, secondary and pump are what makes the system function. At Lely Tank & Waste Solutions, we also put a vacuum pressure tree with a pressure relief valve. It consists of a vacuum relief valve, a pressure gauge, and an oiler so you can occasionally pour in some flush fluid and clean your vacuum pump. The final major component of our vacuum system is our oil catch and moisture trap. It is located the back side of the vacuum pump and includes a drain to remove excess lubricating oil from your pump. As we wrap up our initial discussion on vacuum slide-ins, these are the standard components you will find installed on any unit. Of course, there are also a couple of sight glasses to indicate your fluid level as well as a sight tube for your fresh water level. In addition to a vacuum pump system, each unit includes a water pump to push fresh water through a garden hose so you can do your clean up, fill buckets or any other use you may have for pumping fresh water out. So, to wrap up our discussion, those are all the major components and considerations of a slide-in vacuum tank. Now you can make an informed decision on purchasing the right slide-in for the right application - so you can run the most efficient operation at the least possible cost.